An outdoor kitchen adds tremendous entertainment potential to your Toronto home. If you love entertaining family and friends, then doing it outside the house is so much more fun. But to get it right, you need all the components that give you full cooking potential. 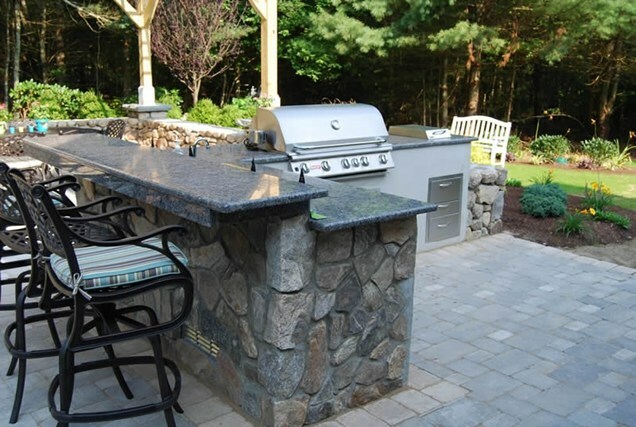 Considering the conditions, Granite comes across as the number one choice for use in outdoor countertops. It is a natural stone which complements the patio feel that homeowners seek. Also, it is one of the most durable countertop materials ever. Subject it to heat, rain or winters, it will function flawlessly provided you maintain it regularly. There is nothing fancy about maintaining the countertops outside the house. You can pretty much follow the same cleaning routine that you use for your kitchen countertops. Sealing: Since the countertop will constantly be exposed to the various elements of nature, you must ensure that the first seal is done immaculately. Also, keep checking the sealant once every year to ensure that it has not weakened and the stone is not absorbing liquids. Else, there is a risk of wine or mustard causing a long term stain. Washing: Being outside the house, you can skip the dish rag and warm water routine and just hose off the countertops to remove any dust, dirt, pollen or gunk. Once this is done, use any nonabrasive cleaner to remove any stubborn particles off the surface. Use trays under your candles if you plan to use them. Wipe it dry after cleaning. Protection: One of the easiest ways to retain the luster of the polished surface is to keep the countertop covered when not in use. This will prevent the stone from wearing down over time and ensure longevity. You can get custom covers made for your countertops to keep them protected. 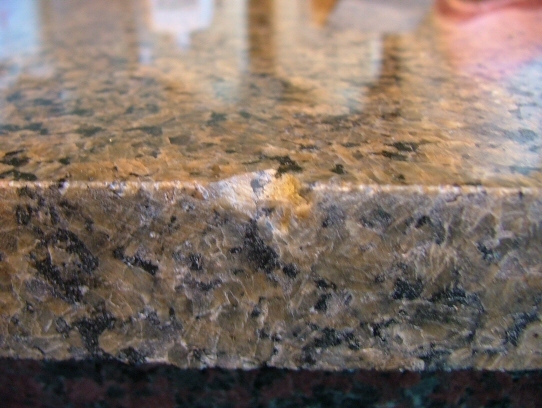 The weather in Toronto is not considered to be extreme enough to cause long term damage to your countertop. But why risk it? If you plan to use the countertop on hot sunny days, cover it with some type of awing or patio roofing, if you still haven’t. It will keep the countertop protected and also allow your guests to enjoy a cool drink under the shade. Keep it covered during the winters from mid-December to mid-march when there is snow on the ground. What type of Granite to use? Before choosing the granite based on the sample which you saw, ask the installer if you can do an absorbency test before deciding. Ideally, you’d want Granite slabs that are not too absorbent (rarity) or are not too reactive to acidic liquids. In an outdoor kitchen with high traffic, you cannot really control or keep an eye on all the liquids that may be spilled on the counter. So choose wisely. With the right selection and regular maintenance, your outdoor kitchen in Toronto will provide you with years of hassle free performance.